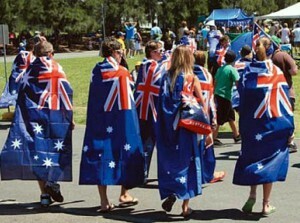 Last Friday was Australia Day, forming the Australia Day long weekend. There were all kinds of celebrations, parades and community events. Australia Day itself was a pleasant 28 degrees but two days later on Sunday it go up to 38 degrees – so hot! 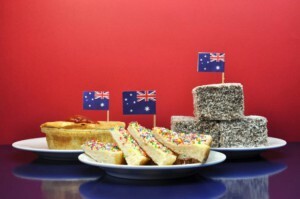 From left to right: meat pie, fairy bread and lamingtons. Some people have a tradition of eating Australian foods on Australia day. I had some friends visiting from America so I found a bakery and had them try some Lamingtons. They are cubes of sponge cake layered with jam, dipped in a chocolate sauce and covered with coconut. 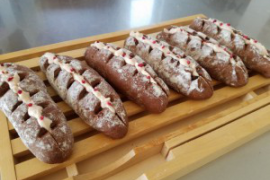 They were well received but I can’t vouch* for their healthiness. Not everyone was light hearted and happy though. 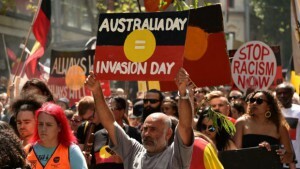 There were some big marches and protests by the Australian Aboriginal people and those sympathetic to their cause. They took to the streets to raise awareness of racism and native land rights.